Get Used To Calling Nick Faldo "Sir"
That’s right. 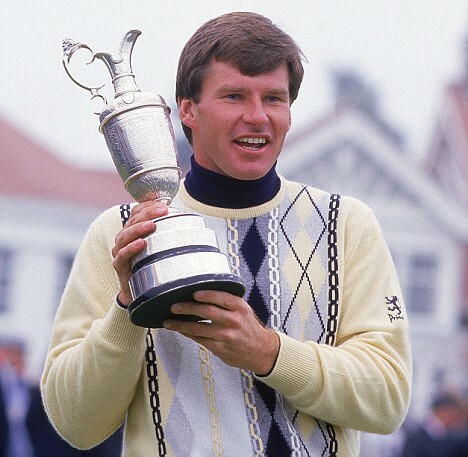 Our favorite CBS commentator and former PGA Tour player Nick Faldo has been awarded knighthood by Queen Elizabeth II. We already hear enough about his amazing accomplishments from two decades ago, or as Shane Bacon described, “Remember what I did 53 years ago.” That pretty much hits the nail on the head. It’ll just add to another annoying reference that we’ll be hearing about every other sentence during his spectacular announcing. Note to Faldo: the trees were this tall when you won The Masters. If it makes anyone feel better, he’s one of 984 people receiving honors this year. And, luckily, CBS isn’t covering the U.S. Open, so we won’t have to hear about “what he did” at Bethpage Black in 2002 – which is a relief because he finished T5. As much as it pains me to say this, Faldo does, in fact, deserve the honor. He won six major championships and he’s the best British golfer in history. I’m also going to throw it out there and say I don’t think he’s that bad of a commentator. I’m not the biggest fan of Faldo, but at the same time, I find him entertaining – mostly because I enjoy making fun of him. Is that wrong? It’s just too easy. That said, congrats Sir Faldo.